An original bespoke piece of Gunmakers Art. 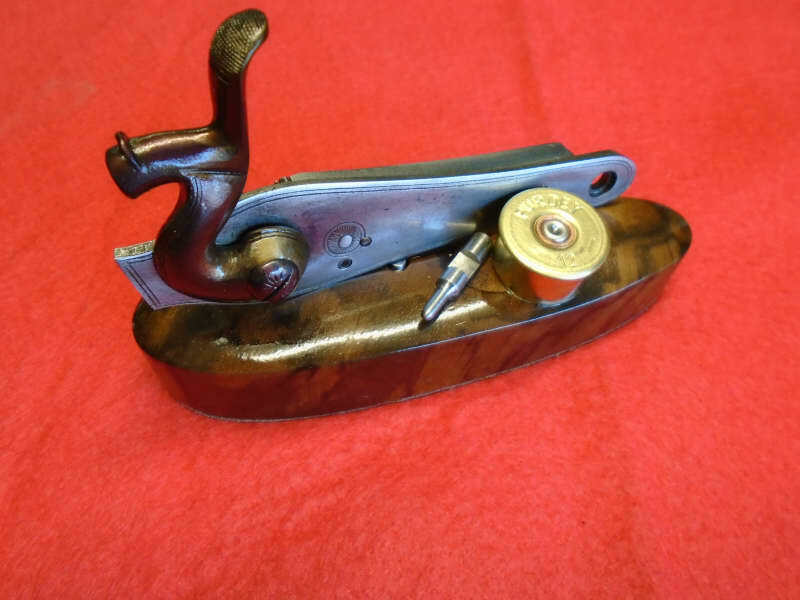 Can be used as a paper weight or would make an unusual desk ornament for the gun room. 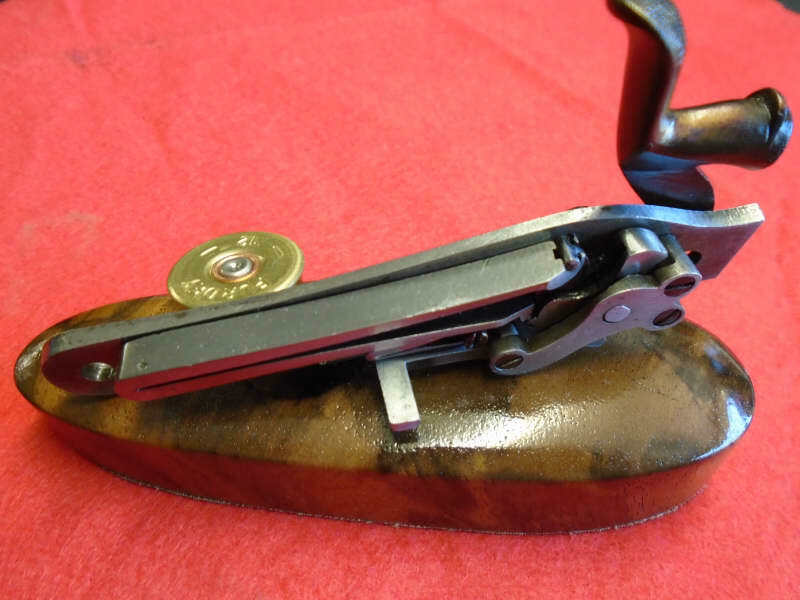 An original left hand side lock plate complete with hammer, lockwork and springs mounted on a Walnut stock heel plate A striker and brass cartridge cap by Purdey positioned alongside. All of the Gunmakers gifts by W Richards are individually made and are all unique. No two items are the same.